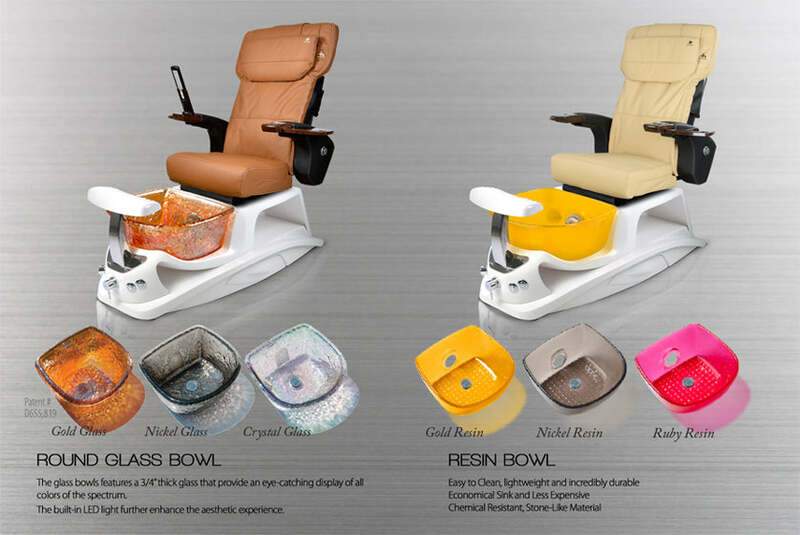 The ANS Argento RG is a fiberglass pedicure spa that features a beautiful glass sink bowl. This sharp and stylish new spa ia acetone-resistant and includes a protective gel-coating that guards the spa and sink from rust and corrosion. 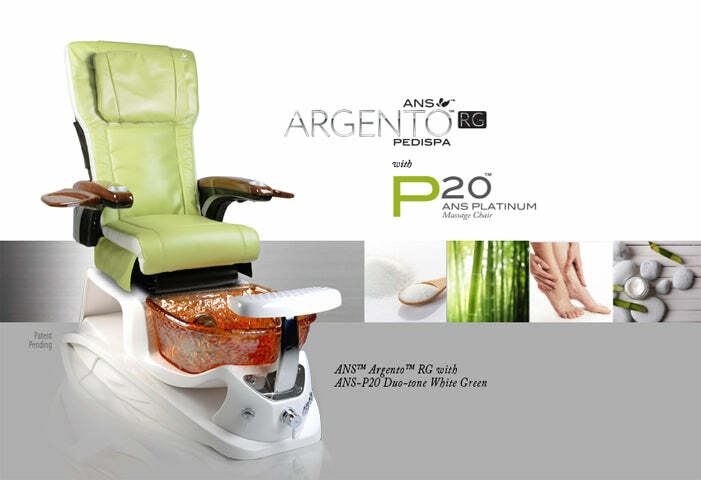 The ANS Argento RG features a sleek all-white base, fiberglass footrest, polished chrome hardware, stainless steel shower hose, built-in LED color therapy light, FREE matching pedicure stool. 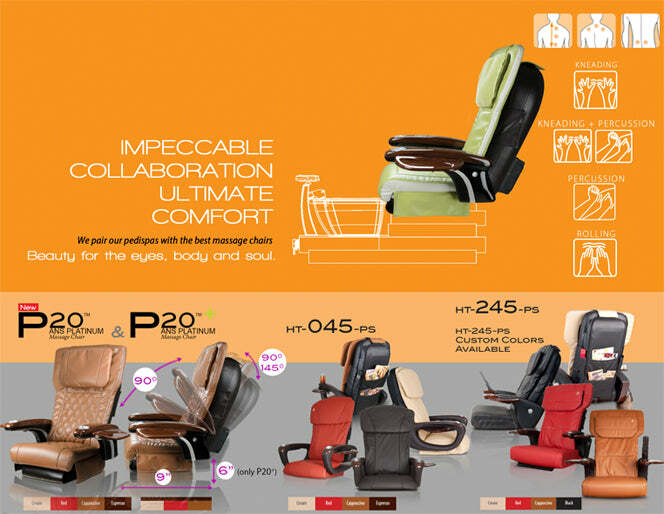 The ANS Argento RG is also includes a premium massage chair of your choice. 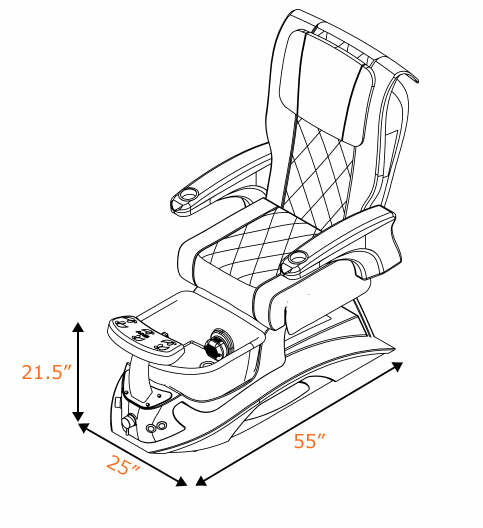 Some images show optional chair upgrades and accessories.